Days before Donald Trump meets with Vladimir Putin in Helsinki on July 16, the agenda for the summit remains unclear. Putin craves legitimacy that only Western recognition can grant him, and his greatest demands include the West's recognizing his annexation of Crimea and lifting sanctions. Yes, but: Congress is bipartisan in its opposition to recognizing Crimea as part of Russia, and it can also veto a rollback of Russia sanctions, no matter what Trump might promise in Helsinki. 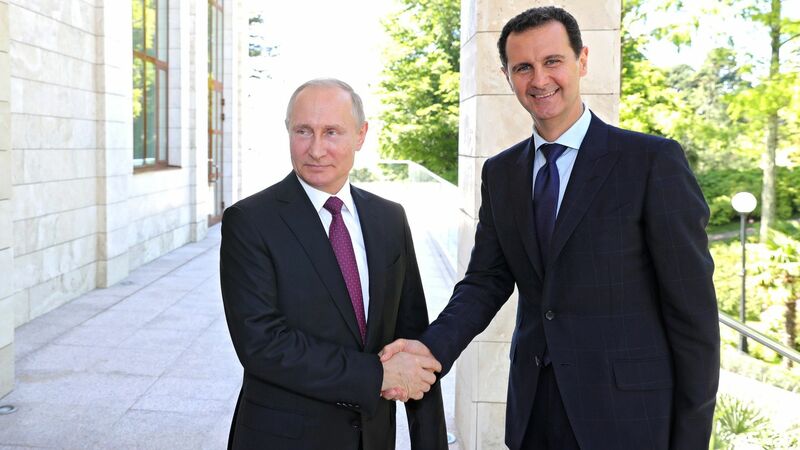 Thus if any deal comes out of the Trump-Putin summit, it's likely to be on Syria, where the West has had the least interest in opposing Putin’s intervention, and where Congress lacks similar leverage. National Security Adviser John Bolton reportedly discussed such a Syria deal on his trip to Moscow, with the aim of getting Iranian forces out of Syria, but in fact Putin has little to offer there. Moscow does have a reputation in the Middle East for being the only actor that can talk to virtually everyone, and Putin would like nothing more than to be seen as a peacemaker. But in addition to having a poor record for keeping his word, Putin has no ability nor desire to genuinely restrain Iran. While Russia Foreign Minister Sergei Lavrov said in May that “all non-Syria forces” must leave southwest Syria, the withdrawal that followed was another deception, with Lavrov saying this month that it would be “completely unrealistic” to expect Iran to completely withdraw from Syria. The bottom line: The summit may reshape U.S.–Russian relations, if Trump makes a deal to Putin’s benefit, or pass by without consequence, if Trump makes no significant concessions and the summit ends with vague non-committal statements from both sides. Anna Borshchevskaya is the Ira Weiner Fellow at the Washington Institute for Near East Policy.